Adopted latest radio control technology, the drone can automatically identify its location when it is played in headless mode. It is just a piece of cake to get back your drone even though it is flying far away from you. With built-in positioning system, the drone can auto locate the remote control. 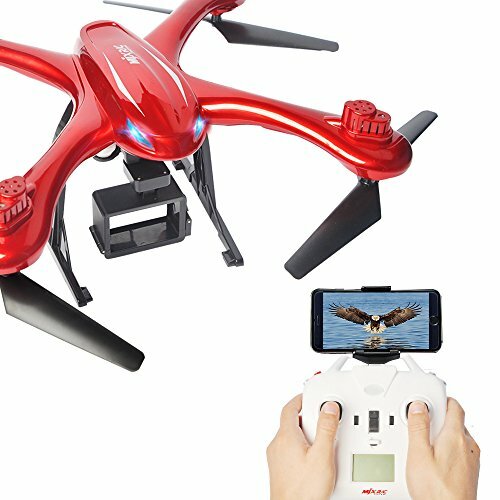 Just press the one-key return button, the drone will fly back to the remote control’s location. Adopt the advanced barometer to automatically maintain flying altitude. Operation is very simple. Once signal connections are finished, push up the throttle control stick and then hands off. The copter will maintain a desired flying altitude. There are 2 flight speeds available:low speed and high speed. Players can select the flight speed according to their own proficiency and space.